The State Roster is only for use in the work of the Order and is password protected. Phone Exec Sec Gerry at 306-631-1610 for password. 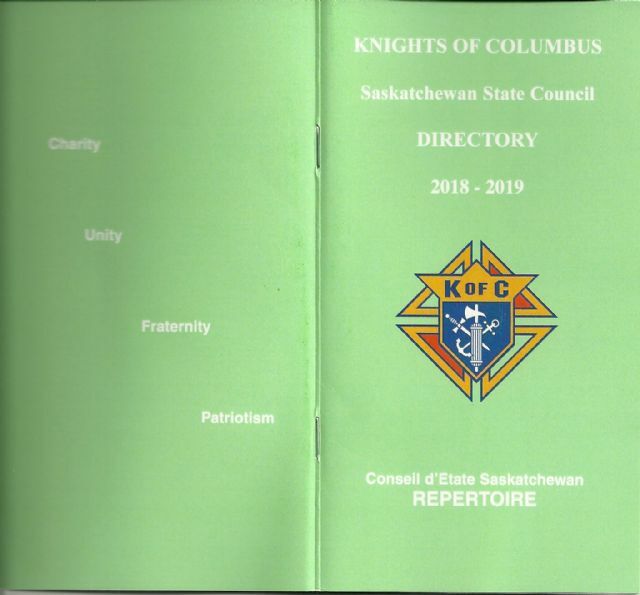 The Saskatchewan Knights of Columbus is dedicated to protect the privacy of the personal information contained in this directory and no person or organization may use this Directory without the express permission of the State Deputy.